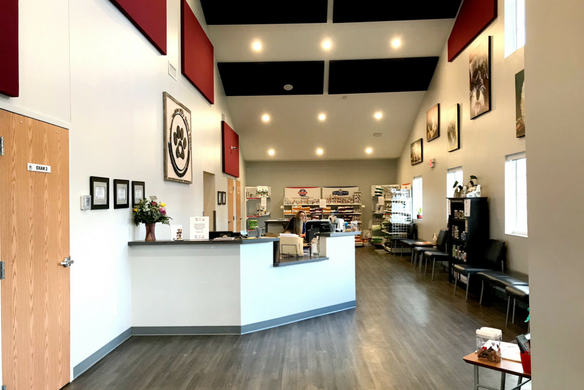 Welcome to Ferguson Animal Hospital! 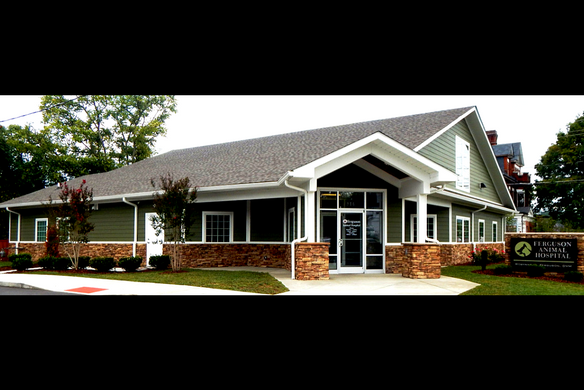 Take a minute to have a virtual tour of our clinic! 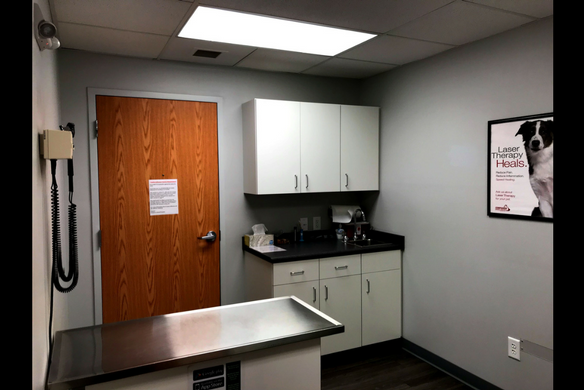 We provide a wide range of small animal services including yearly exams and vaccines, dental cleanings, digital x-rays, cold laser therapy, in and out patient treatments, fully stocked pharmacy, skilled surgeons, and boarding and grooming services. 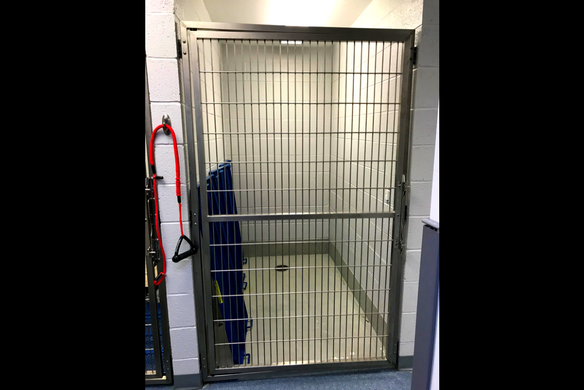 If you have any questions or to make an appointment don't hesitate to call us at (423) 764-8335 and our friendly and knowledgeable staff will make sure that you are given the attention that you and your pet deserve. The lobby was designed to have a spacious and airy feel. 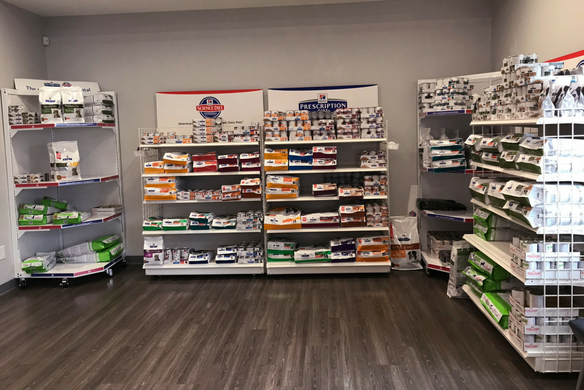 We carry a wide variety of prescription diets and can special order prescription diets that we do not keep in stock. 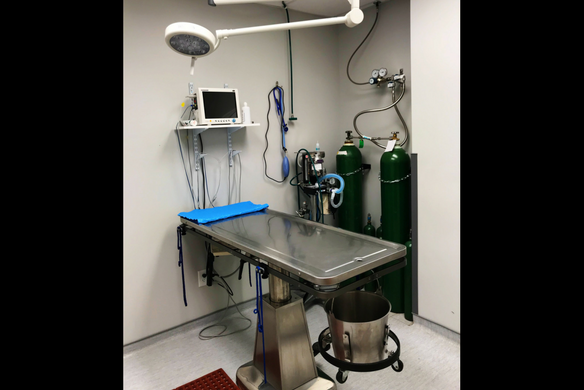 This is one of our five exam rooms. 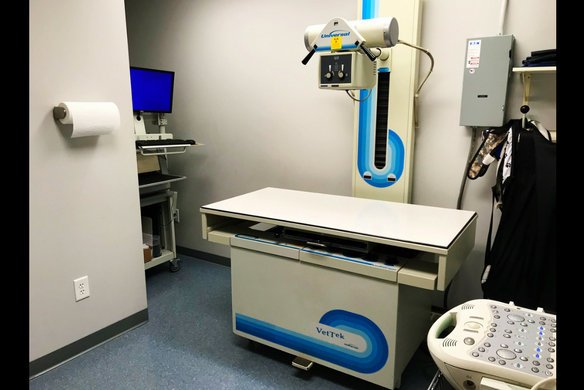 Digital x-ray processing gives the ability to develop films faster and to adjust the image after processing for optimal viewing. It also gives the ability to put the images on a CD for the pet owner or to email them to a referral clinic when needed. 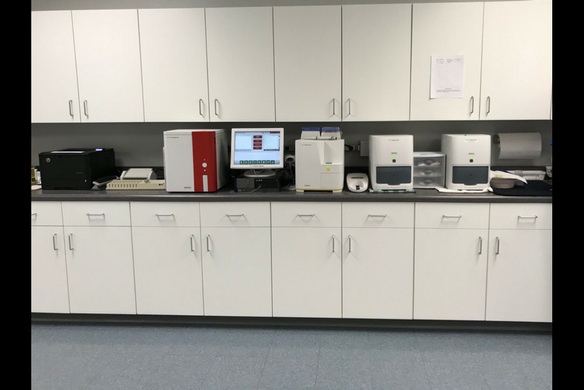 We can perform many blood and urine tests in-house. One of two runs that we have to house large dogs comfortably.